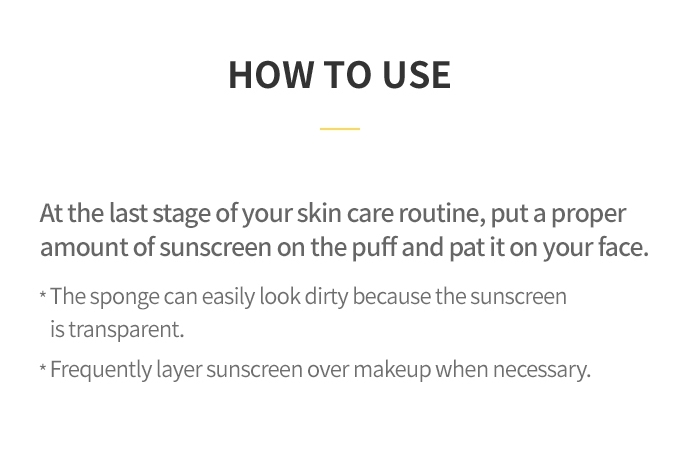 At the last step of your skin care routine, put a proper amount of sunscreen on the putt and pat it on your face. 5. Do not stay too long in the sun, even while using a sunscreen product. 6. For external use only and avoid contact with eyes. 7. Keep clean the puff for the next use. 8. Do not recommend sharing the puff.